We are hiring! We need Spanish, French, and Arabic staff for our multilingual clientele. Send us a message if you are interested in becoming a breeder under our program or a client manager. If you are looking for a true micro teacup puppy-you are in the right place! 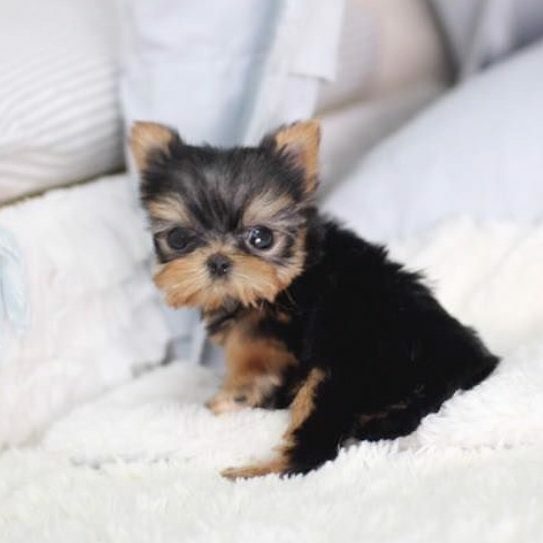 We are a team of micro teacup puppy fanatics that individually sold in our areas by word of mouth, and have come together to offer our amazing micro Teacup Puppies for Sale online. We have our ‘original’ Memeber who started breeding micro teacup dogs over 20years ago, in Canada, her name is Jo and she’s retired, but is our mentor and assists us in improving our breeding program. We have Denise and her hubby in Montana near Shelby. We have Ann in LA. We have Kiera in Dubai. We have Linda who manages our inquires. And Bee who is in San Fransisco and does our delivery coordination. If things go as planned we will expand and add to our team. We have grown 3x in 2018 and hope to double in 2019! Send a copy/scan of the remittance receipt and forward it to us so we can track your payment. We are famous for our micro teacup puppies, our teacup pups all have our signature ‘doll face’ look with big eyes, short noses, compact bodies and we aim for puppies with blue eyes and ultra rare coat colors adding to an irristable combo for micro puppies that is in high demand. As we grow -so do our prices! If you are looking for a bargain-this is not the place. Expect our prices to increase on average $500 every 6 months. All of our micro teacup pups are delivered once purchased, either by nanny or by cargo but not picked up. All our micro teacup dogs are bred by us, at home, and never brokered or sold via 3rd party. We do not have any affiliation with any dogs coming from Korea (nor should you)We have all the parents and can supply photos upon request. We know the history of our dogs and intimately know and love each and every puppy we sell, and assure you your puppy receives the best care, training and socialization for a healthy, happy forever friend. We do not have a storefront. We are an online business only(like Net-a-Porter), our website is our showroom. We do not provide our home address as we have young children at home, if you want to come and meet us, and pick up your puppy, we happily will meet you at the airport or public location of your choice. We do not sell our puppies via social media. We will not sell our puppies without speaking to you first. You will receive a lifetime of support when you buy a puppy from us. You are our fur-family. 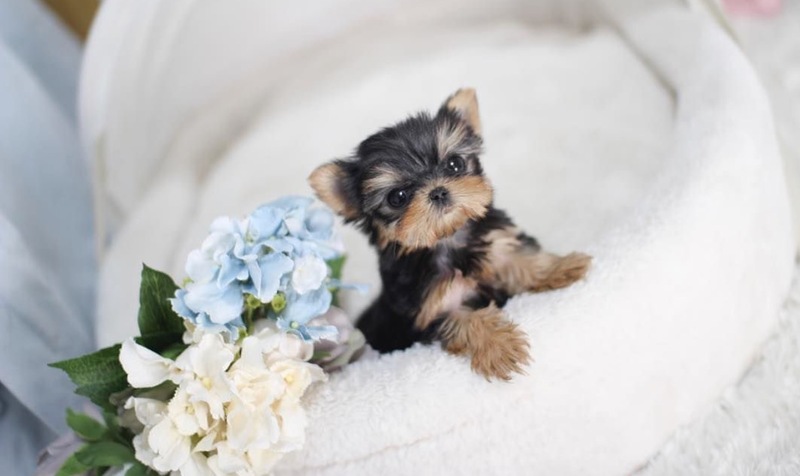 We specialize in the rarest and most coveted micro teacup puppy colors, for example, blue puppies with blue eyes, solid platinum white puppies, rich red poodles, and breathtaking teacup Merle puppies. You may never have heard or seen these colors before! And we breed the tiniest in the world of all the breeds we offer. We do not demand deposits. If you like a pocket puppy and need a few days to decide, let us know, we will put the micro puppy on hold for you, with no risk, no charge. It’s a 10+ year decision! We have a few delivery options once you have chosen your dream puppy. The photos you see online are currently up to date. If you have any questions or if there’s anything we can do to help please contact me via email text or call. 📲text📲call or email on how to make this dream puppy part of your family today! ✈️All deliveries/flights are booked 3 days before the puppies leave us(not before they are 16 weeks old), our flight coordinator Bee (sometimes Linda) will contact you to confirm the prearranged date is still ok with you, and they will send you the reference number/flight details when the booking is made as your tracking number. 💯 Amazing Quality and super small size! Feel free to reach out with any questions we failed to cover here. We are happy to help! 5. Complete the contract in full (you will have important decisions to make about your fur baby at this time, once complete, we will send your copy via email. 6. We breed our exclusive tiny teacup puppies in multiple locations(in home) in the USA and UAE, we home breed and raise our puppies with us, and deliver globally. 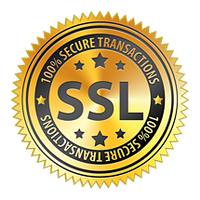 90% of our customers are in the USA and our prices are listed in USD. 7. We will ask you to confirm all the information again, and then we will generate your invoice. 8. Inform us when the payment is made using your invoice # at the top right of your invoice as your reference. 9. We arrange delivery for you 3 days prior to our agreed delivery date. 3 days before travel we will take your puppy for final deworming, vaccine and health certificate, then to the groomer, then days rest before they travel. Our flight coordinator Bee (sometimes Linda) will contact you to confirm the date before booking. The flight reference number will now be your tracking number. You will pick up your teacup puppy at the airport designated in your contract or to meet the micro puppy nanny at the airport. 11. Once you receive your tiny teacup puppy, a photo and testimonial for your future customer’s reference is greatly appreciated but it is not required and we understand if you perhaps prefer privacy. The pocket puppy will be sent in a carrier with food, water, and blankets, not sedated, the hum and vibration of the engine is soothing and the feedback we get is that the teacup pups sleep during the flight. Cargo is NOT in the luggage area, it is not where the passengers sit, it is a holding area of the plane that accommodates up to 2 dogs, it is the same pressure and temperature as the passenger area. 70% of our customers choose this option with ease. The teacup puppy you purchase will be accompanied from our home to you with our young but very competent puppy travel nanny . The micro puppy will have its carrier, food, water, and blanket. The micro puppy will never be unattended and sit at the foot of the puppy nanny for comfort and supervision. In both cases, the micro puppy is not happy to leave our house, their littermates, and the life they know. Some puppies take a few hours to feel secure and home and others take days. Knowing they are going to be safe, warm, and fed are all they need at this transitional time. We offer the best health guarantee in the world. We do not offer refunds or exchanges. Be mindful you are purchasing a life, not a shoe. We have been breeding teacup pocket dogs for 20+years and our breeding program is highly focused for very rare teacup puppies, and specific micro size dogs. We usually have 1 or 2 puppies per litter. There are no runts. We can not guarantee an exact weight because lifestyle factors are not controlled by us. If the puppy is happy, healthy, getting exercise and eating a proper diet he/she will weigh the weight listed at adult. Not only do we breed for a tiny size pocket puppy we breed for excellent composition, short legs, and compact body (a square type), big eyes, short noses, lush rare coat colors, and an overall ‘baby face puppy’ look. This has made our micro teacup puppies the most sought after in the world. We do not offer to finance. We happily hold a puppy free of charge for a few days. If you are working or out a lot, we recommend to buy 2 teacup pups and to encourage this we offer a $1000USD discount and free shipping. These tiny teacup pups are not ideal for kids under 10. We do not suggest purchasing a teacup puppy from Korea as they will come from heart-wrenching puppy mills and your teacup puppy will have lifelong physical and or emotional complications. Teacup Dog Breeders do not sell via social media. Reputable teacup puppy breeders do not allow 3rd party sellers or brokers. These resellers know nothing about the parents of the micro size puppies. Resellers know nothing about how the teacup puppy has been cared for nutritionally or socially. These pocket pups need access to food and water 24/7(free feed kibble) and you must check to make sure they haven’t gone more than 4 hours without (until they are full grown at 2 years old) if you think they haven’t eaten, put some maple syrup on your finger and in their mouth (or via a syringe) so you know they are ok. Customer Comments: Tiny Teacup Puppy Reviews The Scott Family’s Experience with Micro Teacup Puppies. They say you are either a cat or a dog person. I am definitely a designer dog person. I love designer dogs and have had them as pets for most of my life. Some have been rescued, one bought, and some have been gifts. By far the most beautiful and healthiest is POSH who is a miniature English bulldog, now weighing 15lbs (January 2019)but I think she might gain a few more. Miniature English Bulldogs are extremely rare and expensive. If you are going to spend that kind of money I suggest you call Ann here at MicroTeacup Puppy for your designer dog purchase, maybe even a miniature English bulldog like I did! Customer Comments: Micro Teacup Puppy Testimonials The Hilsom Experience with Micro Teacup Puppies I just wanted to say that your team is so kind hearted and professional. I bought Becca our Merle Mini Frenchie for Christmas 2018, and was expecting some Christmas chaos but, Kiera handled everything so effortlessly, I was happy to submit Micro Teacup Puppy a 5 star review. My mini Frenchie is already famous. Everywhere we go people ask where I got her, most people didn’t even know there was such a thing as a mini Frenchie but voila, lucky me I got the best! Thank you Kiera and team! Customer Comments: I love this store! Customer Comments: The puppies are so cute!!! Customer Comments: Couldn’t be happier with my bulldog I bought here. Customer Comments: Nice people beautiful dogs. 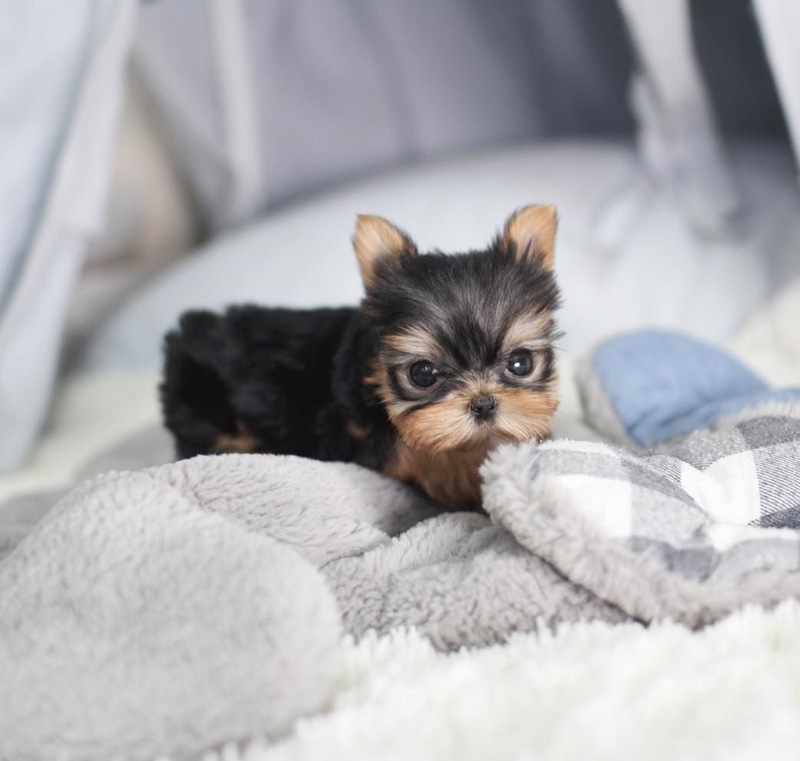 Welcome to our database of our micro teacup puppy reviews. First and foremost we want to thank our wonderful clients for sending in their micro teacup puppy Reviews. Without a doubt, it is always good to hear how much all of our hard work is appreciated by our clients. It is always nice to hear the kind-hearted words of admiration our clients have to say. Absolutely, we see these tiny teacup puppies as our surrogate fur-children and are proud to see that a little bit of us and who we are shines through in each of them in their personalities. We hope you enjoy reading down through some of the Tiny teacup puppy reviews. We thank our beyond amazing clients who provide such incredible homes for our fur-babies!! 5. Complete the puppy contract (you will have important decisions to make about your fur baby at this time, once complete, it will serve as our contract and we will send your teacup puppy Contract copy via email. 6. We offer tiny teacup puppies globally. We home breed and raise our tiny teacup puppies with us, and deliver worldwide. 90% of our customers are in the USA and our prices are listed in USD. 9. We arrange delivery for you 3 days prior to our agreed delivery date. 3 days before travel we will take your tiny teacup puppy for final deworming, vaccine and health certificate, then to the groomer, then a days rest before they travel. Our flight coordinator Bee (or Linda) will contact you to confirm the date before booking. The flight reference number will now be your tracking number. You will pick up your tiny teacup puppy at the airport designated in your contract or meet the teacup puppy nanny at the airport. 11. Once you receive your tiny teacup puppy a photo and testimonial for our future customers reference is greatly appreciated but it is not required and we understand you perhaps prefer privacy. What a doll face this baby girl has! She is art! Very fine boned and petite, she is tiny as can be.